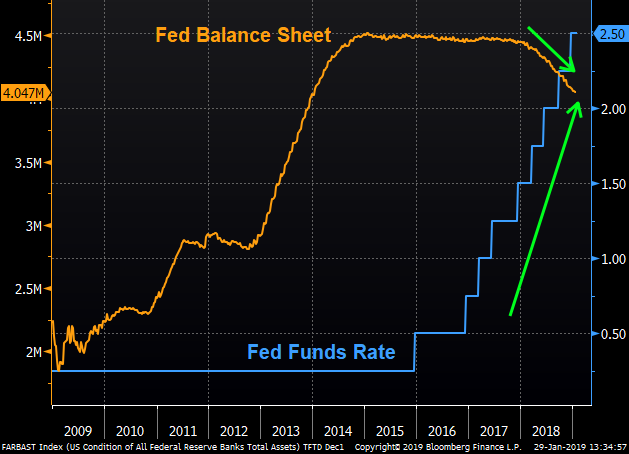 Just last month, Powell stated, “We don’t see... the balance sheet runoff as creating significant problems”, but the tide may be changing. The Wall Street Journal published an article last week stating that the “balance sheet is... getting increased attention”, and that, “the runoff could end much sooner [than expected]”. The discussion appears to be “driven by a technical debate” about reserves and the appropriate size of the balance sheet. We will be watching for a shift in tone as the Fed comes to terms with the (in? )significant effects of QT. In the meantime, we recommend referencing a 2010 article penned by Ben Bernanke himself. Back then, he explained why the economy needed “further support”, aka QE2, and how such support would lead to a “virtuous circle”. Time will tell if the Fed concludes that QT runs the circle in reverse. Recent housing data has been reflective of neither boom nor doom.MBA Mortgage Applications dropped 2.7% week on week, but the Purchase Index was up 3.1% YoY. Housing prices also continue to rise, albeit at a slower rate. The Case-Shiller National Home Price Index grew 5.2% YoY, admittedly, with significant dispersion among metro areas. Despite the cooling in home price appreciation, affordability continues to be a problem, according to David M Blitzer’s comments in a CNBC article. He believes that “housing market conditions are mixed”, but was hopeful that moderating prices and stable rates mean “the spring market could see a slight boost”. Meanwhile, some interesting dynamics are going on underneath the surface. Government officials appear to be nervous about the health of certain mortgage lenders, as chronicled in an article in the Wall Street Journal. And research highlighted by FreddieMac indicates that the Sharing Economy may be helping Homebuyers and reducing inequality at the same time. The boost from the Sharing Economy is partly due to a 69% percent increase in leasing earnings from 2013 to 2017, as reported in a JP Morgan study. Whether these factors become headwinds or tailwinds remains to be seen, but in the meantime, consumers don’t appear to be very happy about the market, with University of Michigan Home Buying Conditions sitting at levels last seen in 2008.